Since its foundation in 2006, the association World Citizens Music has had as its mission to revitalize and reform the sense of musical creation in today’s world ; to promote the creation of a new music that attempts to eliminate the schism between art & popular music. And this, from its composition to its performance. This objective was realized by the creation, in 2010, of the European Orchestra ViVo!. ViVo! gathers 36 professional musicians under the directing of Garrett List. Supporting World Citizens Music, it’s supporting an orchestra with a mission and being part of its development and its influence. World Citizens Music is part of the national campaign organized by testament.be whose purpose is to encourage the general public, from 60 years old and more, to bequeath in favor of a good cause. Let World Citizens Music pay your inheritance taxes ! Offer your legacy to the person of your choice while supporting our mission: promote musical creation and stimulate the trust of human beings in their own creating capacities. During a legacy, the inheritance taxes can be very high. Unless that you opt for a legacy in duo. This procedure allows your heirs to receive more and you, to help World Citizens Music. Example : You wish to leave 100.000€ euros to your nephew. Almost half of your inheritance goes to the state. If you opt for the “legacy in duo”, your nephew will receive 65.000€ instead of 59.375€. He will not have to pay the inheritance taxes. All taxes will be paid by World Citizens Music. World Citizens Music took part in the Will show in 2012. For its first edition in Brussels, the event was a great sucess. 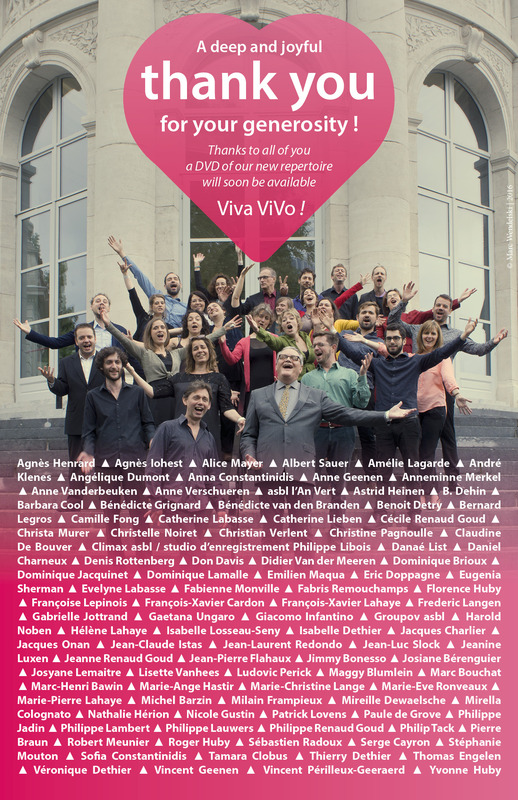 Marie-Pierre Lahaye (the association’s coordinator) presents Orchestra ViVo! and its projects. What could we do with a legacy or a donation? The European orchestra ViVo! has a mission which widely transcends the world of music. By gathering young and talented musicians of multiple horizons, ViVo! places itself in an artistic movement which aims to empower each individual with trusting his own creative ability. We are actively seeking volunteers for our many services. If you wish to put your skills and some of your time at our musics disposal, don’t hesitate anymore: contact us ! World Citizens Music association is always in need of renewing its computer and recording equipment. For more information about the equipment needs of the association, don’t hesitate to contact us ! The World Citizens Music’s annual accounts are places every year at the county court’s graft of Liège. Thank you for your generosity, without which we won’t be able to develop our orchestra and its influence in Belgium and abroad. Indeed, the allowances we are receiving are not sufficient to fulfill our mission and to take up the challenges that are ours. We rely on your donations and bequests. Every gesture counts! Thank you. 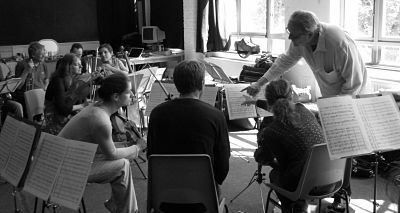 You would like to support our new orchestra and to be involved in its development and its influence? Contact Marie-Pierre Lahaye (04/ 232 00 51 - 0498/511 691, or by e-mail : mplahaye@worldcitizensmusic.com. It will be our pleasure to provide you with further information. Thanks to the following governmental agencies for their confidence and support.